A P.H.D. from Email U. Please, just stop it already. Stop making yourselves look stupid. Oh, wondering what am I talking about here? I’m talking about all of the damned chain emails, usually related to politics, that claim to document facts “most of us aren’t aware of” that are in reality nothing more than 20 pounds of bull sh*t in a 5 pound bag. Seriously, what the hell is wrong with some of you people? Let me explain something to you that should really be accompanied by a slap upside your head… Just because someone sends you something in an email doesn’t make it true. Just because someone slips a bunch of dates and times into the manure they’re electronically shoveling across the information superhighway does not mean that the “facts” in the email have been researched, documented or are in fact actual facts. And you, especially if you add your own two cents about how vital it is that we spread these important “facts” to as many people as we can, pretty much come off looking stupid to anyone who actually knows anything about the subject matter that you are forwarding these “facts” about. And you constantly helping the originators of the bullsh*t to shovel this garbage all around the internet superhighway just serves to shows off your giant and well earned P.H.D. from Email University (A.K.A. your Idiot Credentials) for everyone to see. George W. Bush was not behind 9/11. Please put away the tinfoil hats and join the reality based community. 9/11 was not some giant conspiracy and was in fact what the “official” story claims. I know it scares you to death that a handful of nutjobs could do that much damage and cause that much death and that you have to cling to something (no matter how insane) that says it was some giant government black ops job with a cast of thousands, but… Flag a cab to real street please. No, George W. Bush did not refuse to sell his home to a black family because they were black and, no, the fact that a frequently discredited “news” blogger claimed that he was told by his source who was told by someone who was told by a person close to someone who was told by someone in a meeting with Bush that he declared angrily that the Constitution was “nothing but a God-damned piece of paper” does not count as credible documentation to anyone with an IQ over 3. George W. Bush, Obama or fill-in-the-blank-politician is not the Anti-Christ and the “facts” detailing this are not written in the Bible. I particularly love getting this one from friends and relatives who are heavy Bible thumpers as it becomes plainly obvious (since most of the stuff in those chain emails isn’t found anywhere in the Bible) that they’ve barely read their own damned Bibles. No, it’s not called The Mercury Dime and it isn’t a symbol of the Progressive/American Fascist movement of the early 1900s. It’s called the Liberty Dime and it stood for the exact opposite principles that your silly damned chain email says it stood for. No, Obama was not born in Kenya, his campaign was not funded by Hugo Chavez, he is not a “radical stealth Muslim” and that newly discovered Kenyan birth certificate attached to the email you forwarded was debunked over a year ago. No, Social Security was never a voluntary program, it was never limited to the first $1,400 of income, you could never use what you put into it as a tax deduction, the Democrats did not move it from being in an isolated “trust fund” and put it in the general fund, the Democrats did not eliminate its tax deduction status as it never was deductible and, no, SSI (which immigrants can qualify for) was not enacted under a Democrat President because, no matter how much to the left of modern conservatives he may now be, Nixon was a Republican and the SSI program was created and signed into law in 1972 under Richard Nixon. No, the Safelink Wireless program is not the “Obamaphone” or a free phones for the poor program that Obama is spending tax payer money on since 1) it was created under Ronald Reagan in 1984 for land line phones, 2) it was tweaked in the early 90s, Republicans pushed for tweaks to it and got them in the bipartisan supported FCC telecommunications bill of the late 90s and 3) the final tweak that put it into effect in its latest form was done in early 2008 under W. Bush and before Obama even won the election. It’s also not paid for with tax money. No, the KKK does not own Marlboro, Troop clothing, the company that makes clown shaped air fresheners for cars or Timberland. Also, Col. Sanders did not leave instructions requiring KFC to donate money to the KKK each and every year. So, please, stop sending me emails imploring me to boycott these “racist” companies because you’re too lazy or stupid to do five minutes of research and dumb enough to believe that everything in every email that you open is the 100% unvarnished truth. Now, this isn’t exactly new. There have always been stupid people who believed every stupid urban legend that was told to them. Hell, I was one of the ones who believed that the kid who played Mikey in the old “Life” cereal commercials died when his stomach exploded from a combination of pop rocks and soda. But then, I was about eight-years-old at the time and didn’t have the information resource tool we call “the internet” back then. Since most of you out there passing these things on are in your late 20s or older and obviously (since you are emailing this garbage to people) have internet access… What’s you excuse, moron? And, please, when you forward some political garbage that contains glaring stupidity and falsehoods that would be obvious to a retarded monkey and someone actually takes the time to respond to you and point out actual linked and backed sources and facts so that you might stop looking quite so naive… Don’t email them back and explain (since the lies and falsehoods are something you want to believe because of your biases) that the actual facts about something are too liberal leaning or just more of the conservative noise machine’s work. Facts are facts, bullsh*t is bullsh*t and ignoring facts because embracing the bullsh*t makes you feel good/superior/right in a discussion only makes you look like a very dim bulb. 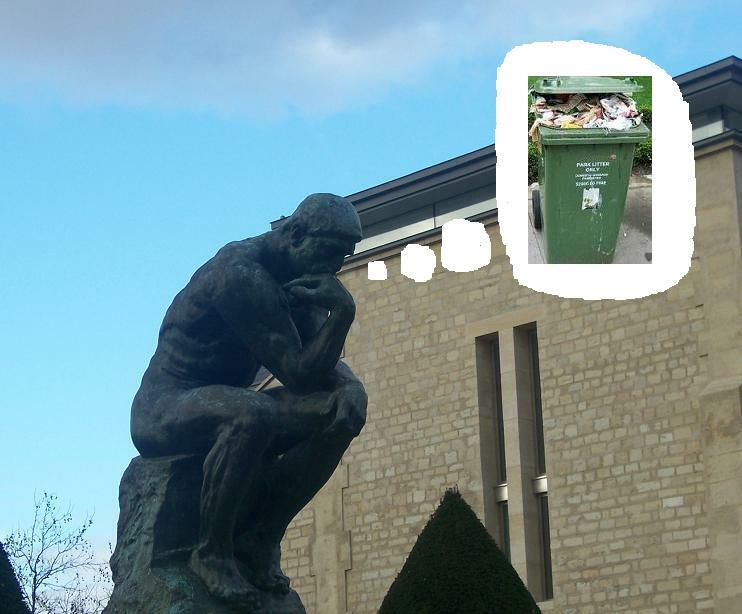 Your brain and your ability to have intelligent discussions with people actually share something in common with an old adage about diet and exercise and quality of life: garbage in – garbage out. If you insist on believing garbage and insist on forwarding garbage than most people with an IQ above that of the average house pet are going to treat your opinion on the subject matter of your favorite chain emails as exactly what it is: garbage. So, either figure out how to use the basic information gathering tools that the internet offers and do a few minutes of research before forwarding the garbage chain email you got telling you these “amazing facts” that you never knew about before but wish were true because of your biases or prejudices or keep being a moron. The choice is yours.